Academic research has shown that managers are a contributing a factor to your employee’s perception of experiencing meaningfulness at work. Researchers Francesco Montani and Jean-SébastienBoudrias reported that when managers take their role seriously, and serve and act as representatives of the organizations they work for, they provide them with salient social cues to their employees. 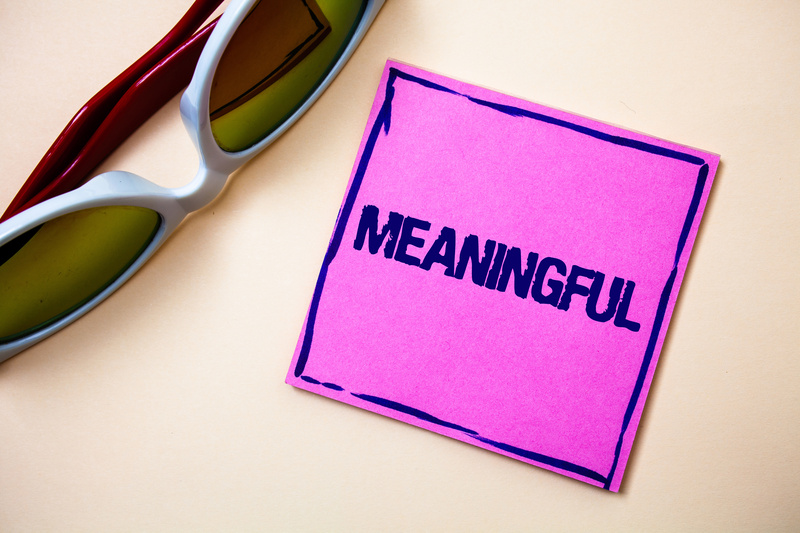 These cues give employees a sense of meaningfulness in their own job. A manager’s act of genuinely recognizing their employees contributes to employee meaningfulness with their work. So how can you use your recognition programs to create this greater job meaningfulness for employees? When you immerse yourself in reading academic studies, you soon discover theories and terms that most of us have never seen. For example, I came across self-concordance theory, which speaks of enabling a person to not only achieve their goals but also to satisfy their need for autonomy, competence, and relatedness, and ultimately get a lasting sense of well-being and fulfilment. They described it as an individual’s perception of congruence between their own activities and values, motives and goals that positively shape the meaning they give to their work. This is like when organizational values or the positive actions of a leader are congruent with your own personal values. You feel more committed to the organization and more willing to follow the direction of the leader. This gives balance, congruence, and greater meaningfulness on the job. The recognition implications from these findings is that your recognition practices, or the use of your recognition programs, must communicate specific information that allows employees to know they are contributing and that their job gives them meaning and purpose. What I saw in Montani and Boudrias’ research was that it was important to recognize people for the efforts they make on the job and their achievements. In this way you are acknowledging people for living true to their personal values. This kind of recognition values the person and not just the end result. Naturally, employees also want recognition for achieving goals, completing projects, and other achievements. Provide relevant information cues about work that is regarded highly. Emphasizes the importance of the work the employee is doing. Indirectly acknowledges the employee’s underlying competencies and skills. Raises higher levels of meaningfulness in the eyes of the employee. Stimulates greater behavioral involvement with both in-role and extra-role activities. You have shaped your employee’s meaning around their work activities through recognizing them. The study suggests that such acknowledgement motivates future superior performance. When managers give genuine, effective, and specific recognition to employees, it creates a perceived evaluation of recognition by employees. They feel this memorable recognition provides important cues for them that show their work really is meaningful to them and those they work with. Recognition Reflection: When was the last time you evaluated the quality of recognition given to employees by their immediate supervisor/manager?